Is it possible to save money on a Disney vacation? Is it possible to get cheap Disney World tickets? What is the cheapest hotel at Disney World? Is it possible to plan a Disney vacation for under $1,500? 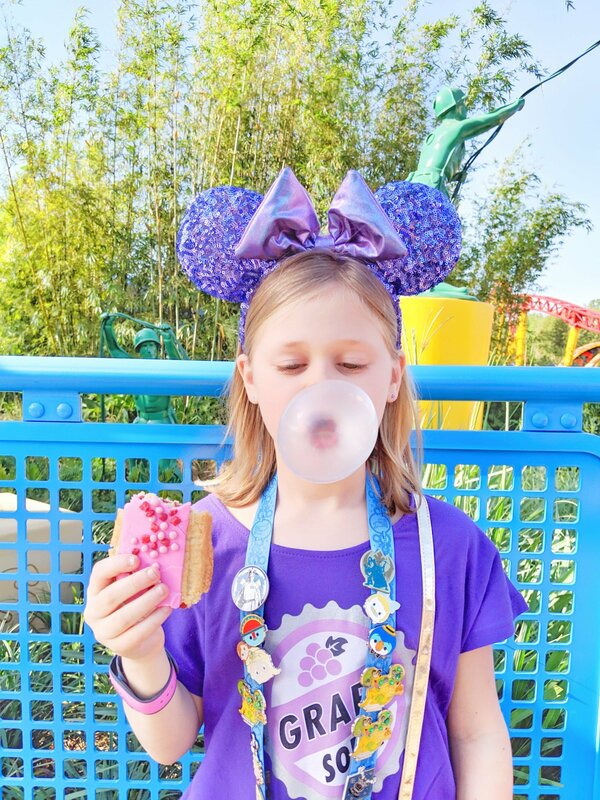 In this post, I’ll break it all down for you and share my top tips for planing a Walt Disney World Resort vacation for as little money as possible, to satisfy even the tightest budget. My family has gone to Disney World numerous times over the years, on all different kinds of budgets and for all different kinds of situations. We started out as a family of 3 on a $30,000 a year salary and grew from there. Here are all the Disney money saving tips you’ll need to plan a super cheap Disney vacation! We have traveled by plane, car and train! We have boondocked and driven through the night. We have packed canned goods and peanut butter in our checked baggage. 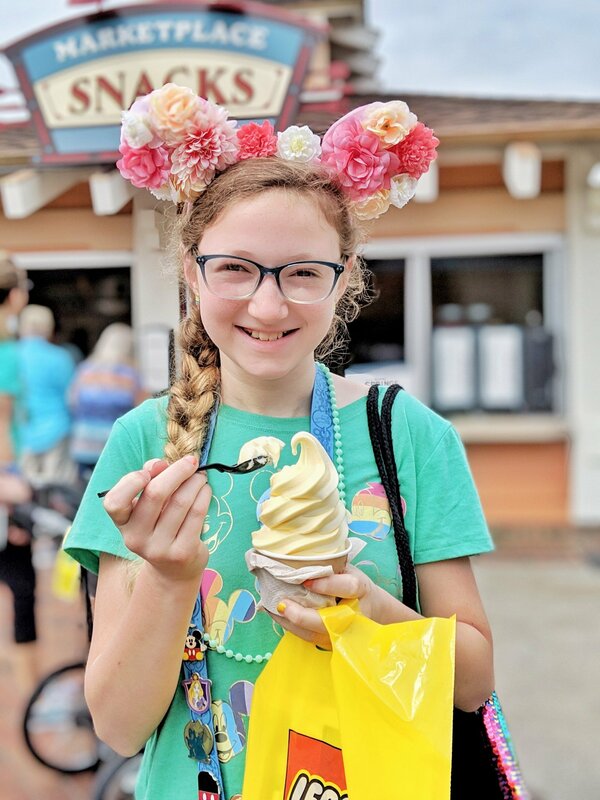 We have stayed with relatives, at Disney value resorts, moderate resorts, camped at Disney’s Fort Wilderness campground and flew in just for the day! There are so many different ways to make a Disney vacation doable, the key is to find the one that works for you! Here’s a breakdown of what I’ll be covering in this post and the example I am using to plan a trip under $1,500. 2 adults and 2 kids with an infant under the age of 3. Children under the age of 3 are free and can basically be left off the radar. If you are hoping to fit into a standard room, a family of 4 will have no problem. A child under 3 can be left off the reservation and added over the phone with a Disney rep, but listing 5 or more people will require an additional room or a family suite. All Star Music and Art of Animation both have family suites, or depending on the season, 2 standards rooms with a connecting door may be less expensive! Wow! Really? 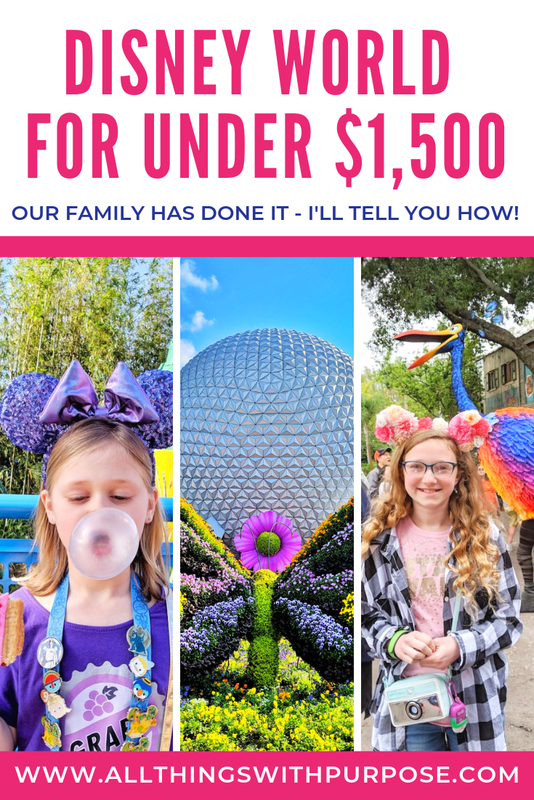 A Disney trip for under $1,500?! Yes! It IS possible. Of course, this is being extremely tight and basing the prices on the lower end of the rate calendar. But, if you plan ahead and go during an off season when rates are lower, it’s very possible. Contrary to popular opinion, you don’t have to go big or go home when it comes to a Walt Disney World vacation. You don’t have to buy a meal plan, you don’t have to buy a multi park/multi day ticket, and you don’t have to splurge on unnecessary souvenirs. Once you get over the idea of a big, fancy, expensive Disney vacation, you can figure out how to make it possible on a smaller scale. Believe me, there will still be plenty of magic and memories that will last a lifetime! 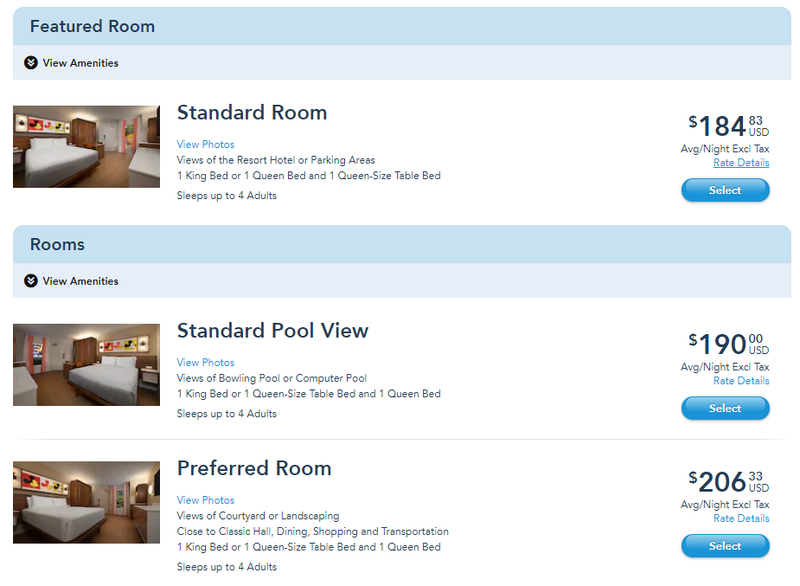 There are obviously a lot of different options for places to stay in the Orlando area. 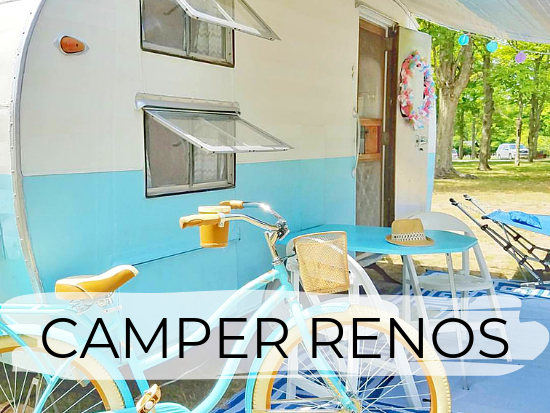 You can choose to stay off site at a chain hotel that may offer their own shuttle into the Disney parks, you can rent a house, you can stay with relatives, or you can always camp! Fun Disney themes and Disney feel that make park tickets almost unnecessary! When you stay at any Disney resort and fly into the Orlando airport, you can get free transportation on Disney’s Magical Express line of buses. They will pick you up at the airport and take you directly to your resort. This is a huge money saver in itself! We have stayed at the All Star Movies resort, Pop Century and Art of Animation which are all considered value resorts. We have visited All Star Sports and Music. Our favorite resort for little kids is the All Star Movies resort because of the Toy Story theme, the kids pool, inexpensive rate and the smaller size. Pop Century is newly remodeled and very clean, but not as fun of a theme. Pop Century will be one of select resorts to have the new Disney Skyliner with direct transportation to Hollywood Studios and Epcot. Art of Animation is a beautiful resort and newest of the value resorts. They have a super fun pool area, BUT it is huge! The walk back to the standard rooms is almost a mile long. The rooms are a little pricier here, but they do offer larger family suites to accommodate bigger families. Choose one of these value resorts based on room availability, rate calendar, and family size. Prices do fluctuate based on season and can range from as low as $70 a night up to several hundred dollars. Like I’ve said before, you don’t have to feel pressured into a multi day ticket. If your goal is to experience Disney World within your means and under a specific budget, then a 1 day ticket will offer plenty of fun! A 1 day base ticket will only get you into ONE park. Choose the Magic Kingdom, Hollywood Studies, Epcot or the Animal Kingdom. If I were only going for 1 day, I would base it on your children’s interest and which rides or characters they are hoping to see. But if it were me, I’d almost always choose the Magic Kingdom! 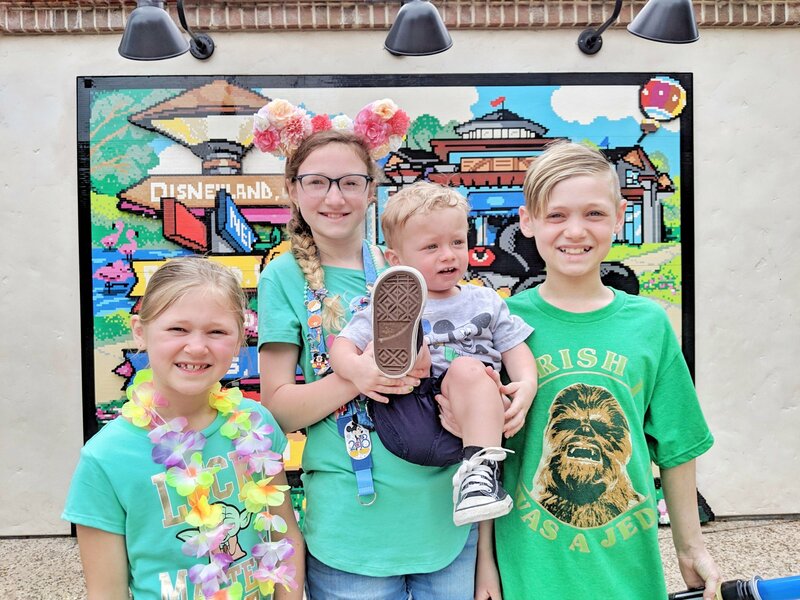 If you’re interested in upgrading to a Park Hopper ticket and taking in multiple parks in one day, you might want to read my post: Disney World in One Day! With that said, if you have the budget for multiple days, then you may have several options available. Undercover Tourist is an official spot for discount park tickets. You won’t see much of a savings unless you’re buying a 4 day ticket or more. Disney makes it worth your while to add on extra days. The more days you add, the lower the price for each day becomes. If you’re really trying to keep costs low, I suggest choosing one park to visit and buying a 1 day base ticket. Go into the park in the middle of your trip and enjoy your Disney resort on the off days! With free Disney transportation, you could also choose to resort hop or visit Disney Springs, all for free! Read: How to Disney pin trade the cheapest way possible. In order to keep your budget SUPER LOW, you’ll need to get a little creative with your food choices. If you’re flying cheap with a limited number of bags, you won’t have a lot of room for food, so use your space wisely. There are several grocery delivery services available to bring food to your resort. You will most likely have a microwave and mini fridge in your room and the resort food courts do sell bread, peanut butter and jelly, etc. While the dining plan may not be an option for you on this low budget trip, the resort refillable mugs may be a great investment! Buy ONE refillable mug for your family and share it during your stay. You’ll get unlimited refills on coffee, tea, hot cocoa and soda. These mugs ARE NOT usable in the park, only your resort. 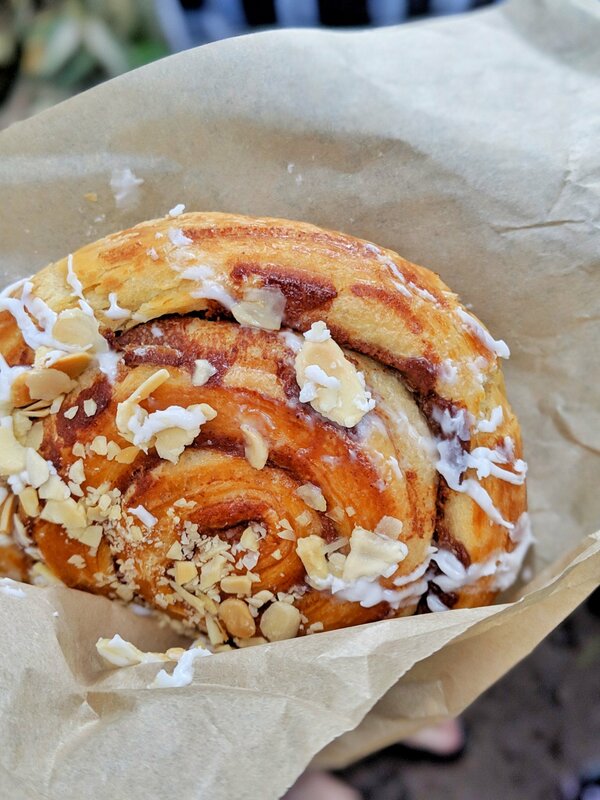 Food and drinks are allowed in the park! Pack sandwiches and snacks in a backpack to cut down on cost. Instead of sitting down for a full meal, our family enjoys sharing and sampling different foods all throughout the park. Read: How to survive Disney World with little kids. While driving your own car might seem cheaper, there are a few extra fees you’ll need to include. 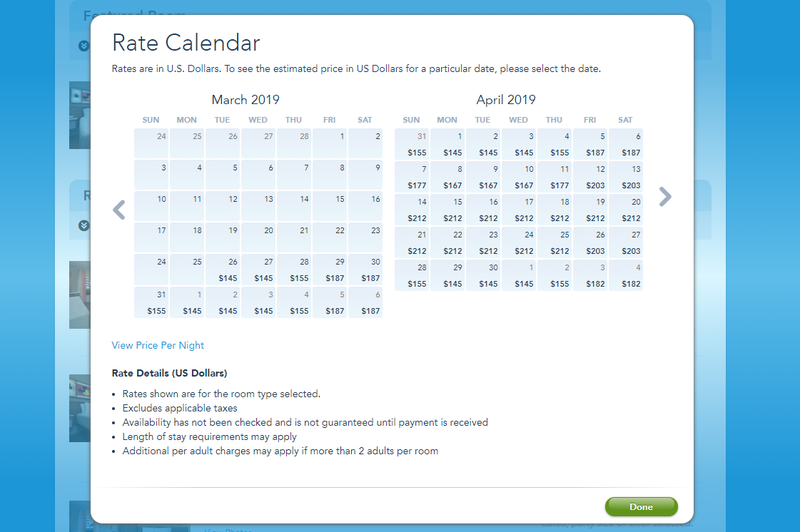 On top of gas prices, you’ll also have meals on the way down, overnight lodging and parking fees at the Disney parks. You may also get less time to enjoy your vacation because you’ll spend more time traveling. Instead, can I convince you to try flying Spirit? Does it feel more like a crammed city bus than an airplane? Yes, yes it does. Do they charge you for every single thing including water and peanuts? Again, yes. BUT, if you can do without peanuts and pack super light, Spirit will always be THE CHEAPEST option for flying. Read: Disney money saving advice from my readers. You will need to check out your nearest airport to see if Spirit flies there and if they have direct flights to Orlando. But I can almost guarantee you they will be the cheapest option. Now, if you cannot pack light and have to purchase bags, purchase them right away! Spirit’s price for checked bags is cheapest at the time of ticket booking and will go up in price if you have to do it later. If you are going for a total of 4 nights, you should be able to pack what you need in a backpack and maybe purchase one checked bag. Disney resorts have Pack N Plays available for infants and your stroller can be checked at the plane for free. If you think you will need multiple checked bags, then flying Delta and using a Delta credit card (which gives you free bags) or flying Southwest may be a better option. Remember, once you get to the Orlando airport, the rest of your transportation will be free! 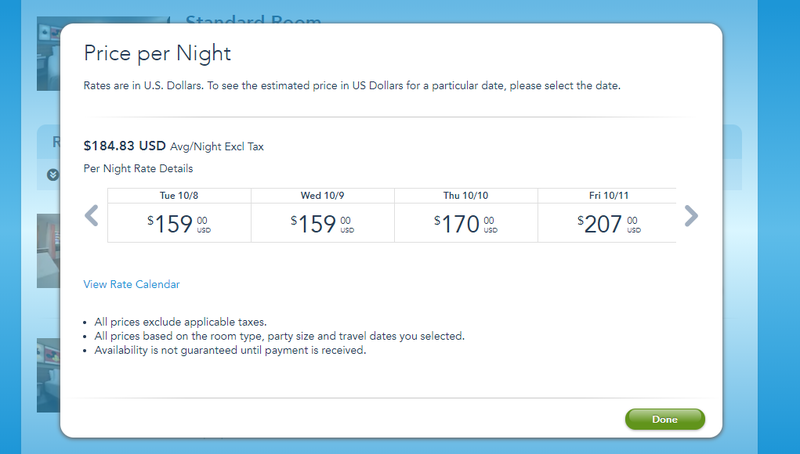 I hope this has helped give you a better idea of how cheap you can actually do a Disney trip! Obviously, you will need to take into consideration your particular family size, location, and needs to determine if a trip this cheap is really possible. 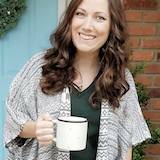 Think creatively and start with a budget that’s possible for your situation, then scale things down to fit within that. 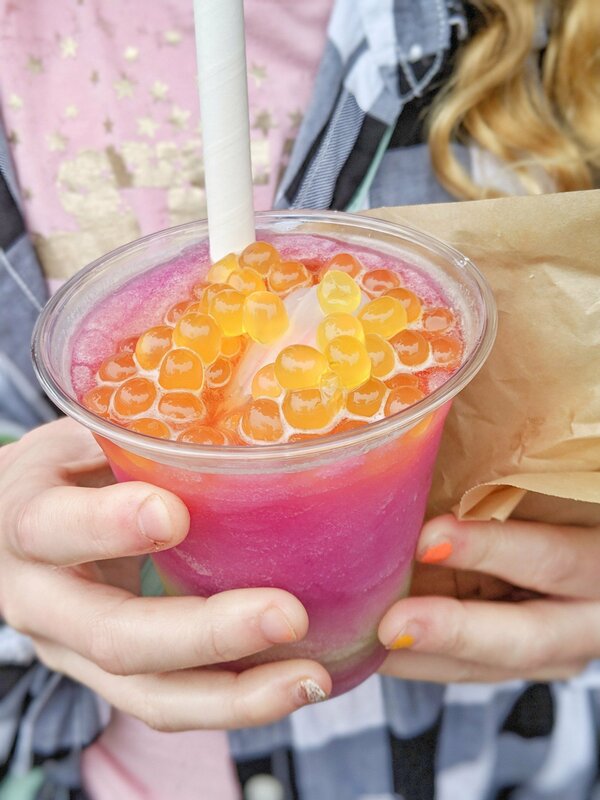 What creative ways have you used to make it to Disney World on the cheap? ?